PORTLAND, Ore. – In August of last year, Kells Irish Restaurant – Portland’s venerable and best-known Irish eatery – opened its second Portland location at 201 NW 21st Ave. with little fanfare or promotion. The space included a 10-barrel brewhouse that would brew three styles of beer in-house for the Kells restaurants in Portland and Seattle. One year later, Kells Brew Pub is celebrating a successful first year in business that includes being named “Best Brew Pub” by the people of Portland in the 2013 KGW Best in Town event. Voting took place throughout the month of July on the KGW website, and the winners were announced in August. Kells went up against a number of area favorites, including Deschutes, Hopworks, Rogue, Laurelwood and Breakside. The Brew Pub is also acknowledging the fact that it can barely keep up with the demand for its beer, despite brewing more than 1,000 barrels within its first year, an impressive number for a brewery with no outside accounts. The demand has led to a planned expansion for the brewery, which will see the installation of two new 20-barrel fermenters at the end of this month. “The expansion will allow us to continue to serve the needs of our restaurants, while giving us the ability to make some seasonals and have a bit of fun,” explained lead brewer Garrett McAleese. Kells currently brews an Irish Red Ale, Irish Pale Ale and an Irish Lager. 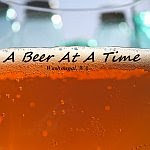 After a year of experimenting with different yeast strains, the brewers have settled on final recipes, which are being well-received by the consumers. The Brew Pub atmosphere is warm and inviting, with a European feel and a full menu that includes Irish favorites like sausage rolls, Irish stew, pasties and shepherd’s pie; alongside items with a local influence, such as organic kale salad, roasted Draper Valley chicken, cured salmon, and Northwest oysters. Kells Brew Pub is open to all ages seven days a week from 11:30am to close Tuesday through Friday, 9am to close on weekends, and 4pm to close on Monday. For more information, visit www.kellsbrewpub.com or call 503-719-7175. Serving the Northwest since 1983, Kells Irish Restaurant is a local family-run establishment that is consistently voted and ranked among the top Irish pubs in the United States. With locations in Seattle, Portland and San Francisco, it is a touchstone of each community that stays true to its roots, annually hosting the largest St. Patrick’s Day festival in the Northwest. Owners Gerard and Lucille McAleese are also recognized for their generosity to a number of nonprofits and community organizations. For more information, visit www.kellsirish.com.